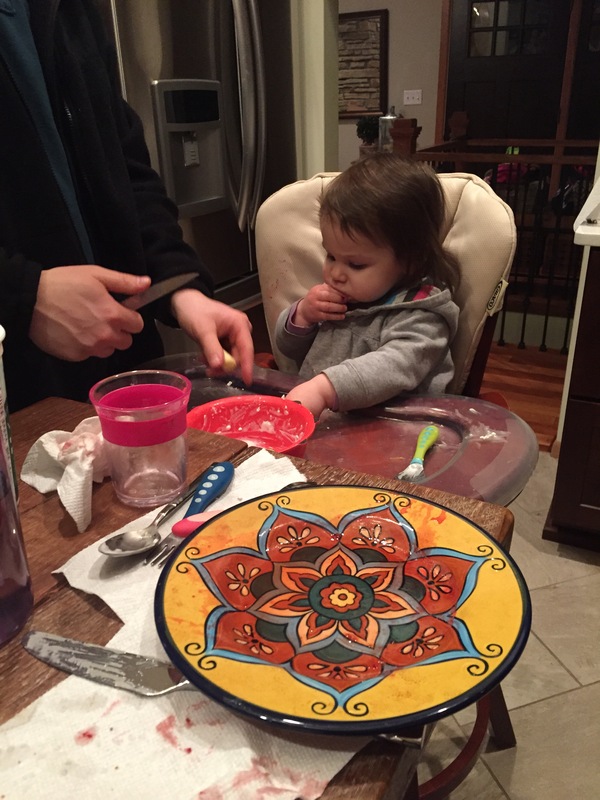 While Charlotte was sick over the past two plus weeks, we became VERY lenient at mealtimes. And by that, I mean that Charlotte pretty much survived on Cherrios, oranges and cheese sticks. One thing we’ve said from the beginning was that we were going to be strict when it came to food. No making seperate meals, no giving unhealthy options because it’s easier, etc. Well, let’s just say, that’s not the standard we were operating under these past couple of weeks. SO, since Sunday, we’ve really been trying to get back to a good place with Charlotte. We started making her veggie shakes again, we started trying to feed her more than just her favorites, etc. Well, last night we had turkey meatballs and spaghetti squash for dinner. First of all, it was delicious. Here’s the recipe if you’re interested. Second, INSTANTLY C was not having it. 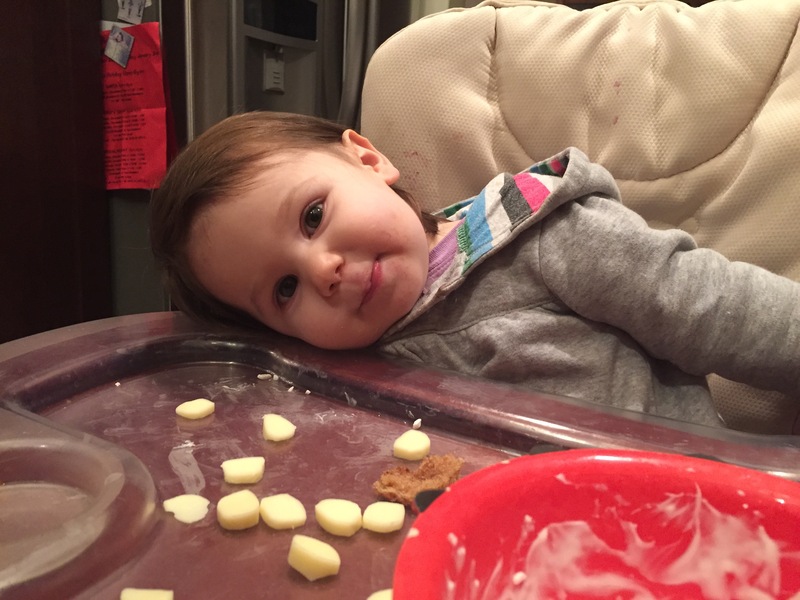 She just kept saying (and crying) no and signing that she wanted to eat. Of course, she didn’t budge. Mark grabbed her out of her chair and once in his arms, she pointed to the bowl of spaghetti squash and meatballs. Mark looked at me like, “should I let her have this? ?” I nodded. And just like that, Charlotte ate the ENTIRE bowl and asked for more. Despite the fact that during the whole (VERY LONG) experience, one jar of salsa was spilled on the ground, my favorite little dip bowl was broken (and more red sauce was flung around the kitchen), and Charlotte technically only started eating after we said dinner was done, I’m going to call that one a win for the parents! This entry was posted in Family, Healthy Living, Recipes, Toddler and tagged healthy cooking, Healthy Eating, healthy recipes, toddler, toddler food. Bookmark the permalink. I just left my hubs and daughter to meet a friend. Looks like he isn’t going to be the winner of the food battle tonight… Let’s just say it wasn’t looking good! Ugh. Veggies are a no go in our house which is terrible bc mommy is a vegetable maniac. He just won’t even touch them. He’d rather starve. Suggest some fruit based recipes please. 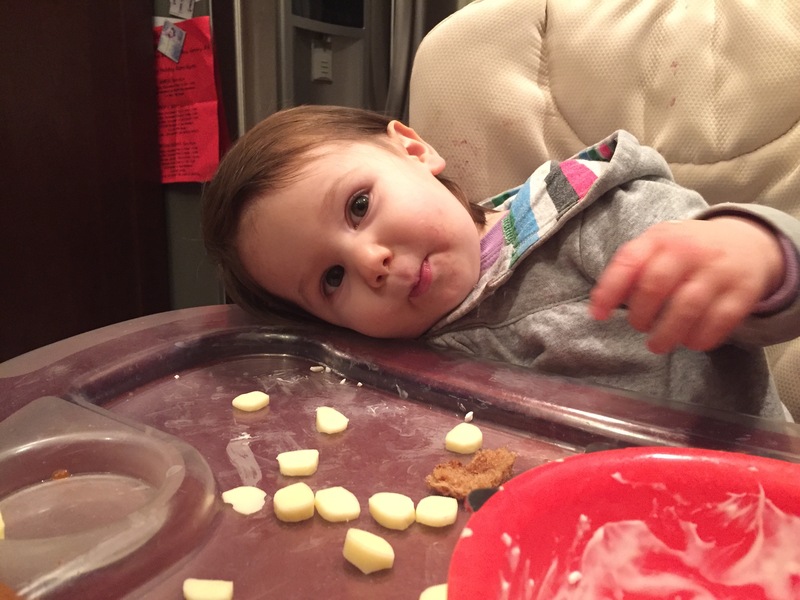 My little one seem to only enjoy bananas. I tried ABC puree (Apple, beetroot and carrot) once but it wasn’t a big hit. I’ll get the recipes my hubs has been using for our veggie shakes and post it in a separate blog! They’ve been delicious (and toddler approved)!